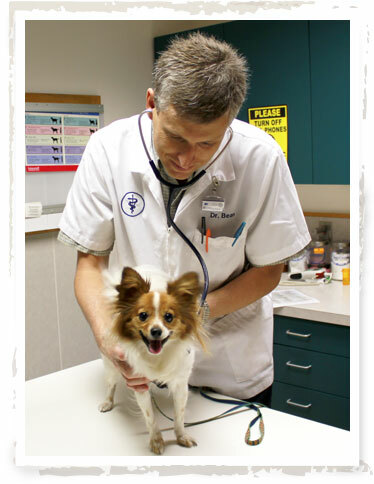 Vaccinations are vital to maintaining your pet's health. When administered appropriately, immunizations are one of the best tools we have in preventive medicine. The key to using vaccines appropriately is to determine which diseases your pet may be at risk for with his or her lifestyle, then to vaccinate for those diseases and to give no more than necessary. We have specific vaccine protocols for dogs and cats. For puppies: vaccines should start between 6 and 8 weeks of age. We recommend vaccination with DHLPP (distemper) every three weeks until your puppy is 14 to 16 weeks old. Rabies vaccines are given between 13 and 16 weeks of age. Bordetella and Canine Influenza vaccines, if needed, may be given at any time during the series. Canine influenza is a 2-shot series boostered 3 to 4 weeks apart. DHPP (distemper) and Rabies are boostered 1 year from the last puppy vaccine. Both vaccines are boostered every three years to maintain a strong immunity in adult dogs. Leptospira and Lyme vaccines are offered to those patients at risk of exposure. For kittens: vaccines start between 6 - 8 weeks. We recommend vaccination with FVRCP (distemper) every three weeks until your kitten reaches between 14 and 16 weeks of age. Rabies vaccines are given between 13 and 16 weeks of age. Feline Leukemia vaccines, if needed, may be given at any time during this series at the owner's request. This is a two-shot series that is then boostered annually. FVRCP (distemper) and rabies are then boostered one year from last kitten vaccine. Rabies and Feline Leukemia Virus are boostered yearly. FVRCP is boostered every three years to maintain a strong immunity in adult cats. We had a Siberian Husky brought in to us and we scanned and located the microchip. We contacted Home Again and they contacted the owner. The Husky had been missing for three months and the owners lived in Nevada. The dog was healthy and the parents flew out and were reunited with their beloved pet. This happy reunion would not have been possible without the use of Microchip technology. For this reason, Rocky Mountain Small Animal Hospital views microchips as a standard of care for all of our feline and canine patients. With a microchip, your pet can be identified quickly and easily by animal control officers, shelters or at veterinary hospitals. Microchips are safe, unalterable and permanent identification for pets. A diagnosis of cancer is stressful for pet owners, and the prospect of chemotherapy treatments can be equally difficult. However, the fear that your beloved pet will spend their final days sick from chemotherapy treatments is unwarranted. Pets respond much differently to chemotherapy than humans do. Knowing how anti-cancer chemotherapy drugs work and what to expect from the treatments can help pet owners decide on whether such therapy is appropriate for their pets. We offer chemotherapy for our cancer patients if desired, whether the treatment is recommended by us as the primary physician or as a continuation if the patient has seen an outside oncologist and the pet owner wishes us to administer the treatment. We offer prescription diets and nutritional counseling as needed during office visits. Why is this important? Pets are living longer, healthier lives than ever before and a big part of that is due to our expanded knowledge of the importance of proper nutrition to overall health. Nutrition is the biggest health variable controlled by a pet's caregiver. During your pet's comprehensive physical examination, we can evaluate his or her body condition and give recommendations based on what we see. 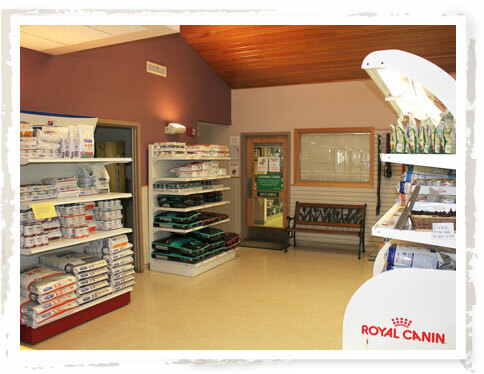 We offer Purina Vet Diets, Hills Prescription Diet and Royal Canin Veterinary Diets to help our patients in all stages of life and medical conditions.